Delaware ELA Scores Fall in 2017 | Back to Basics Learning Dynamics, Inc. According to the Delaware Department of Education, more Delaware students are participating in both the statewide mathematics and English Language Arts (ELA) assessments. Delaware’s participation rate in the state’s Smarter Assessment increased from 98% in 2016 to 99% in 2017. Unfortunately, although participation increased, ELA scores actually dipped by 1 percentage point to 54% from 2016 numbers. How are these scores utilized? While no single test can give a complete picture of achievement, annual assessments can provide crucial important information about student progress as well as identify areas for improvement. This information is especially useful when combined with student grades and teacher reports. Scores are used to examine how well students are doing in districts, schools, grades and even in individual classrooms. Districts use this data to investigate how aligned their curriculum is to the standards, or what children should know and be able to do by grade level. The data helps administrators make decisions about where to focus professional learning for their educators, administrators and staff. Principals can use this information to help understand if certain grades or classrooms are doing especially well and should be models. Principals can also use the data identify where teachers or students might need extra professional development or support. Teachers can use the information about their current students to see if extra focus is warranted in a specific skill area. What do these results mean for your child? 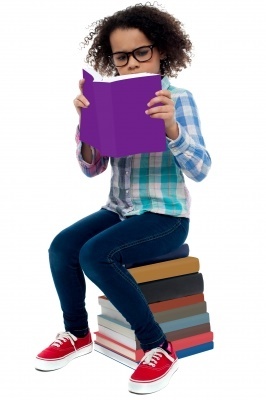 If your child is struggling with English Language Arts and reading, there is help available. Back to Basics Learning Dynamics in Wilmington, Delaware offers 1-on-1 tutoring for reading and reading comprehension for student of all ages, as well as a summer program to help kids conquer summer reading lists. The experienced instructors at Back to Basics will work 1-on-1 with your student to read, comprehend, retain and apply reading material. The private tutoring sessions will provide students with the knowledge and confidence to complete any required reading-related assignments, such as reports, projects and tests. Back to Basics tutoring is available at your home, day camp, or in our Newark or Wilmington locations, seven days a week. For more information about reading help in Delaware, please call Back to Basics Learning Dynamics at 302-594-0754. For more information on State of Delaware assessment results, review the 2017 data charts and Delaware’s Executive Summary.